The newly announced Desert Trip festival will assemble arguably the six most legendary living classic rock acts on the planet this October at Empire Polo Club, best known as the desert locale that hosts Coachella every spring. It’s a momentous occasion because the performers — the Rolling Stones, Bob Dylan, Paul McCartney, Neil Young, Roger Waters, and the Who — are some of modern music’s most influential figures, because rarely do so many bands of this stature assemble at one event, and because it’s only a matter of time before they all die or retire. Yet despite their storied careers, somewhere along the way every one of these talented old white men became legacy acts. They all occasionally release new music, but rarely do any of them live up to their former glory, and no one expects them to. Regardless of public reception to their umpteenth (or ump-twentieth, or ump-thirtieth) LP, their place in history is secure. 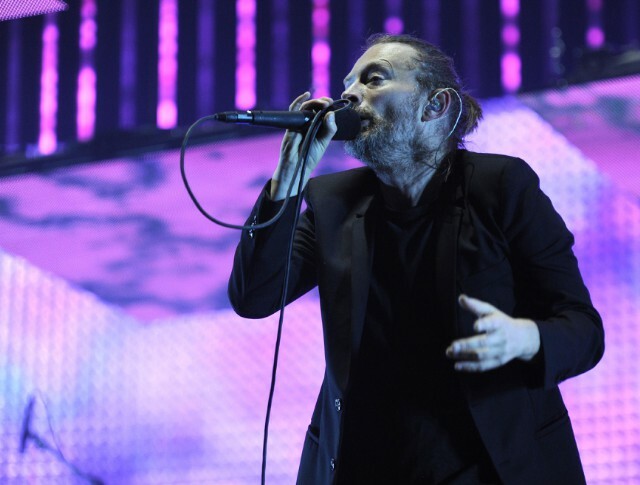 Those bands were all well past their prime by the time I entered high school, so the week’s other big music story — the long-awaited return of Radiohead — is far closer to my heart. I’ve written before about how this band defined my adolescence, and I’m not alone. They may not have matched the cultural imprint of anyone on the Desert Trip lineup, but they were my generation’s closest thing, the band many of us depended on to deliver a monumental work of art every few years. From 1995’s The Bends on up to 2007’s In Rainbows, they consistently made good on that promise, delivering classic after classic, endearing themselves to millions. After crashing the charts with the timeless, triumphantly miserable “Creep” in 1993, they made a Beatles-like transition from hit singles to landmark albums. Anticipating a Radiohead LP was a breathless experience, be it the months-long buildup to Kid A or the 10-day mania that led up to In Rainbows. You never knew exactly what they were going to give you, but you knew it was going to be great. Even at their most willfully obscure and snivelingly depressed, they funneled various underground touchstones into essentially populist anthems, songs that could whip up festival crowds into a euphoric tearful mass. Like Kanye West, they aimed to reinvent themselves every time out, and like Kanye, their every reinvention spawned a galaxy of clones. From Clueless on, they always had their haters, but their relevance was unquestionable. And then The King Of Limbs happened. Radiohead’s 2011 LP was their most lukewarmly received by a long shot. Prizing mood and rhythm over melody and catharsis, it lacked that sense of self-evident inspiration the band’s fans had come to expect, that zeitgeist-grabbing electricity. That it was packaged with a fake newspaper called The Universal Sigh proved far too prescient. Although many of us have come to treasure it, The King Of Limbs ushered in this weird new reality in which Radiohead suddenly seemed marginal. Skittering Thom Yorke side projects like Atoms For Peace’s AMOK and solo album Tomorrow’s Modern Boxes (which has not proven to be the grower I predicted) did not help matters. As Yorke buried deeper into bleary grey atmospherics, his old rallying cry “You have not been paying attention!” started to feel more like a lament over his music’s place in the world. And yet, even if Radiohead are no longer the vanguard of big-box rock ‘n’ roll or even a surefire supplier of genius, it may not be time to relegate them to the nostalgia circuit. The lead-up to the band’s ninth studio album has proven that many, many people out there are still checking for them: Behold the voracious devouring of clues on Reddit or the massive comment pile-up yesterday when we posted the video for LP9 lead single “Burn The Witch.” After they erased their internet presence, I myself spent all day Sunday refreshing their various websites, desperate for any trickle of information. They may not be the most important band in the world anymore, but they remain among the most cultishly beloved. The question is, more than five years out from the most disappointing album of their career, can they continue to generate music that does justice to that devotion? To be a Radiohead fan in 2016 is to exist, ahem, in limbo. No one is expecting these guys to change the face of music or even evolve beyond the well-established confines of their sound, but fans don’t want to give up waiting for another masterpiece. Few people with an emotional attachment to this band are ready to concede that the canon of essential Radiohead albums is complete. We want to believe that Radiohead’s still got whatever it is that once catalyzed our collective endorphin rush, that they haven’t become another bunch of old white men coasting off their glory days. Radiohead will sell out tours in perpetuity no matter how good or bad their albums are from here on out, but for the fans, the stakes feel insanely high this time around. For what may be obvious reasons, I’m feeling emotional about it to an extent that caught me off guard. In recent days I’ve discovered in myself a weird new defensiveness toward this band. Whereas in the past I would just knowingly laugh at the group’s many outspoken haters, lately Radiohead ridicule stirs up passionate anger within me, and the threat of another subpar album triggers a profound sorrow. There is no shortage of amazing music to enjoy in this world, yet as someone who has invested so much of himself in Radiohead, the question of their continued vitality feels personal to me. I am fearing the creative death of my favorite band the way I fear the actual death of my loved ones. I am grappling with their inevitable decay the way I grapple with my own. But enough pop psychology! There’s reason to believe Radiohead are forestalling their own descent into mediocrity. “Spectre,” the rejected Bond theme they shared last Christmas, was evidence that yes, at least on a song-by-song basis, Radiohead could still release something stirring. My immediate response to “Burn The Witch” was not quite so rhapsodic, but I’ve learned from experience that Radiohead songs are just as likely to sneak up on you as to floor you from the start. Even awe-inspiring tracks like “Exit Music (For A Film)” and “Everything In Its Right Place” took a while to click for me, so of course “Burn The Witch” is revealing itself slowly over the course of days. At the very least, this newfound reliance on Jonny Greenwood’s gift for orchestral arrangement displayed on “Spectre” and “Burn The Witch” has me intrigued about what else Radiohead have in store. The fact that they finished “Burn The Witch,” a song that has been kicking around for more than a decade, gives me hope that they really will release “Lift,” one of the most magnificent Radiohead songs to never make the leap from stage to studio. And as ever, what we don’t know about LP9 is even more enticing than what we do know. The new album may well turn out to be an In Rainbows-level epiphany. Still, as I cycle back through “Burn The Witch,” familiarizing myself with its contours, part of me wonders if I am attempting to feel something that isn’t there.